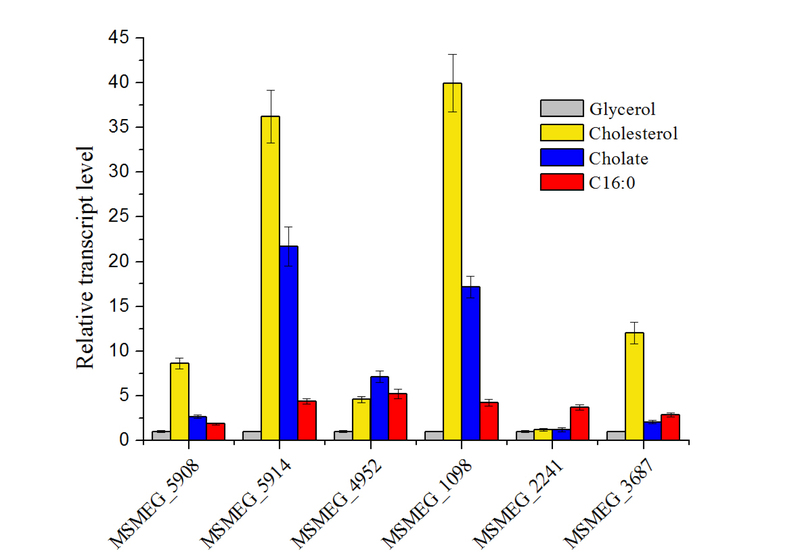 The metabolism of host cholesterol by Mycobacterium tuberculosis is an important factor for both its virulence and pathogenesis. However, the rationale for this cholesterol metabolism has not been fully understood yet. 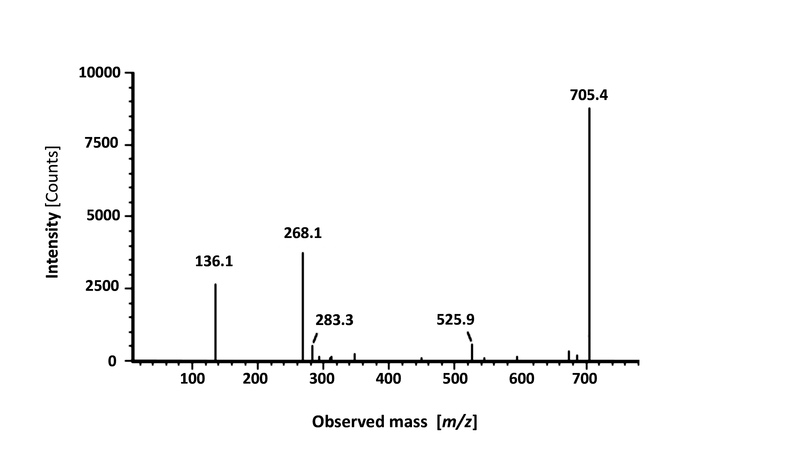 In the present study, we characterized several previously undescribed acyl-CoA synthetases that are involved in the steroid side-chain degradation in Mycobacterium smegmatis, and an analogue of intermediate from steroid degradation, 5′-O-(lithocholoyl sulfamoyl) adenosine (LCA-AMS), was successfully designed and synthesized to be used as a specific anti-mycobacterial agent. The acyl-CoA synthetases exhibited strong preferences for the length of side chain. 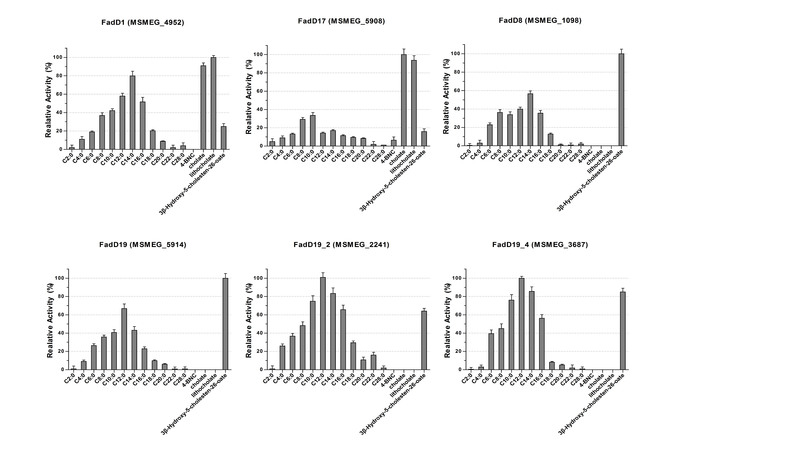 FadD19 homologs, including FadD19 (MSMEG_5914), FadD19-2 (MSMEG_2241), and FadD19-4 (MSMEG_3687), are unanimously favorable cholesterol with a C8 alkanoate side chain. FadD17 (MSMEG_5908) and FadD1 (MSMEG_4952) showed high preferences for steroids, containing a C5 alkanoate side chain. FadD8 (MSMEG_1098) exhibited specific activity toward cholestenoate with a C8 alkanoate side chain. An acylsulfamoyl analogue of lithocholate, 5′-O-(lithocholoyl sulfamoyl) adenosine (LCA-AMS), was designed and synthesized. 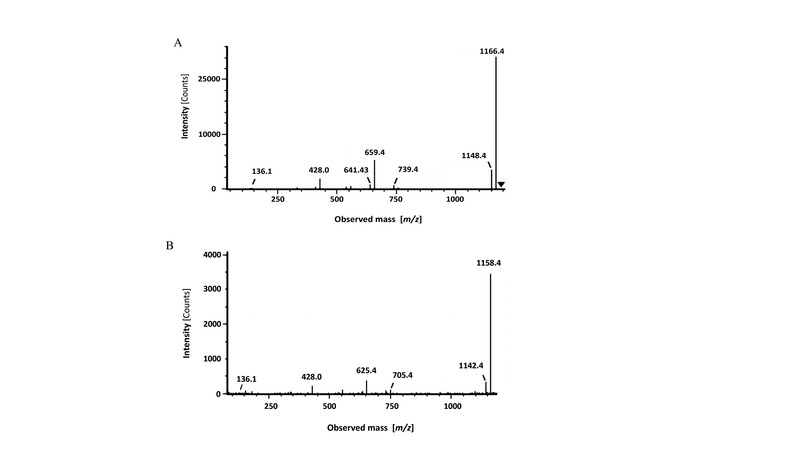 As expected, the intermediate analogue not only specifically inhibited those steroid-activated acyl-CoA synthetases, but also selectively inhibited the growth of mycobacterial species, including M. tuberculosis, M. smegmatis, and Mycobacterium neoaurum. 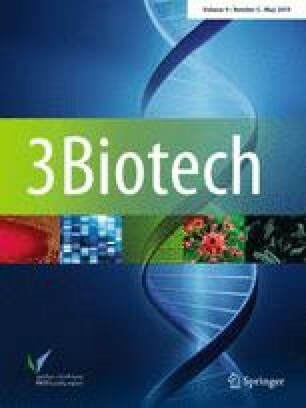 Overall, our research advanced our understanding of mycobacterial steroid degradation and provided new insights to develop novel mechanism-based anti-mycobacterial agents. Yang Niu, Fanglan Ge and Yongzhi Yang have contributed equally to this work. The online version of this article ( https://doi.org/10.1007/s13205-019-1703-y) contains supplementary material, which is available to authorized users. This study was funded by the National Natural Science Foundation of China (no. 31571285), the Sichuan provincial Science & Technology Department (2012JY0067), and the Sichuan Provincial Department of Education (17ZA0323), College student innovation, and entrepreneurship training program (201310636026). 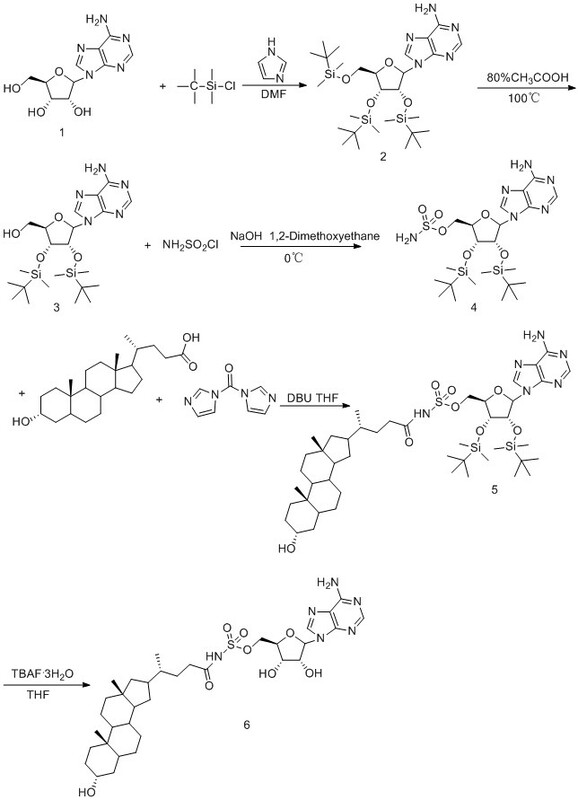 YN, FG, and YY did all the biological and analytical work on acyl-coenzyme A synthetases. YR and XZ did the synthetic work. WL conceived and designed the project. GC, DW, FL, and XY prepared the purified acyl-coenzyme A synthetases. All the authors participated in writing the manuscript.